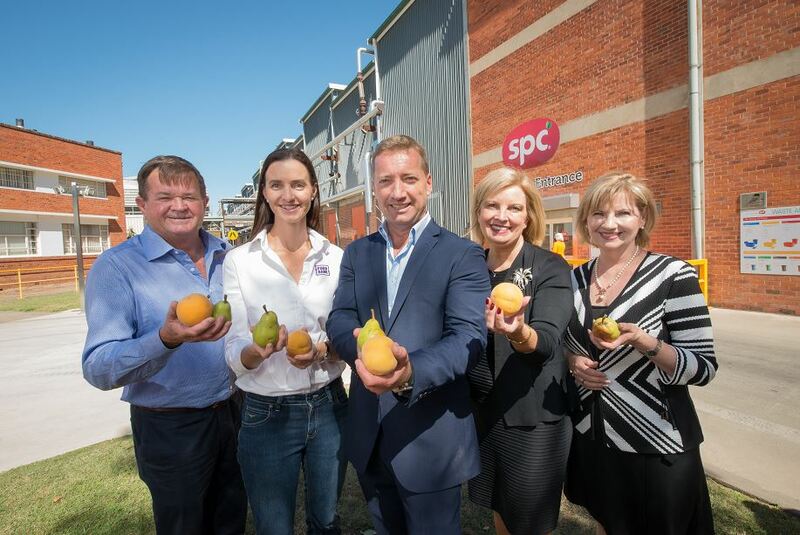 SPC, one of Australia’s oldest and most loved fruit processors, is celebrating a century of existence end excellence. The company, which started as a co-operative in 1918, was the first fruit processor in the world to put preserved fruit in long life plastic jars and the first in the world to pack fruit in natural juice. It processes in excess of 100,000 tonnes of peaches, pears, plums, apples from its 29 production lines and contributes $165 million in economic output within the region. Speaking at a at the company’s Shepparton manufacturing Facility, Managing Director Req Weine thanked loyal employees, customers, suppliers and Government stakeholders for playing an important part in SPC’s colourful history. “We are proud to be standing here today, celebrating what is a significant milestone for an Australian business and having overcome many challenges over the past 100 years,” Mr Weine said. Member for Northern Victoria, Mr Mark Gepp – who attended the press conference in Shepparton – commended SPC’s parent company Coca-Cola Amtil for the $78m investment in the facility, which helped secure more than 500 direct jobs in Shepparton and up to 2,700 flow-on jobs for the region. He said SPC has also committed to invest additional capital in 2018 to further upgrade its Shepparton facility and in new processing capability. “We have always been proud supporters of SPC and the important role it plays in regional Victoria. In addition to preserving some of the best, clean, green and safe produce our State has to offer – SPC continues to develop award winning innovative products and successfully exports them to the world,” he concluded.